Stonewalls Kitchen started in a garage. 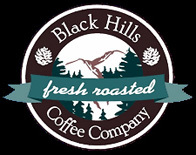 Owners Jim and Carrie DeForrest started roasting coffee beans at home, and Black Hills Coffee Company was born. Both DeForrests have entrepreneurship in their blood, coming from long lines of family business owners. Now, the coffee shop they started in their garage has grown into assorted small business ventures, including coffee roasting sales, a fine dining restaurant and property management. When land opened up on the gateway road to Mount Rushmore and Crazy Horse Memorial on South Highway 16, the DeForrests jumped at the chance to invest in a commercial building – leaving their garage to expand their growing retail coffee business. As the need for Rapid City restaurants escalated, the DeForrests decided it was time to alter their business plan. That’s when they remodeled their building to start Stonewalls Kitchen, Rapid City’s best all-in-one steak house, breakfast, lunch and seafood restaurant. From our fresh-baked breakfast items to our diverse lunch and dinner selection, Stonewalls offers the Black Hills’ finest dining. Breakfast is served Saturdays and Sundays only. The restaurant’s centerpiece is our stone-fired oven, rendering Stonewalls a Rapid City favorite for stone-baked pizza. Add pastas, signature salads, seafood and Certified Angus Brand (CAB) steaks, and Stonewalls has also become Rapid City’s best steak house. At Stonewalls, we pride ourselves on friendly, efficient customer service, as well as our relaxed, yet upscale dining atmosphere. When you visit Stonewalls, you’ll see that the DeForrests have dug their elbows into every aspect of their business. They’ll greet you with a smile, and they’ll be honored to serve you.